Likud is not impressed with PA head's "moderation" on TV interview, says he is trying to help Labor party. The ruling Likud party is not impressed by the seemingly moderate tack adopted by Palestinian Authority chairman Mahmoud Abbas, who said in an interview with Israeli Channel 2 TV news that he does not seek to include parts of pre-1967 Israel in "Palestine." 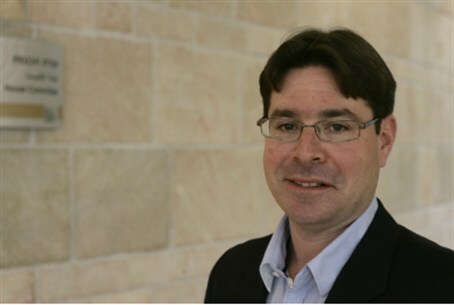 The chairman of Likud's response team, MK Ofir Akunis, said following the interview that "Just like in previous election campaigns, the Arabs are once again enlisting to assist the Labor party and working against Likud." "Past experience has proven that these efforts failed, and despite the Palestinians' efforts to interfere in the Israeli elections, the Israeli public is smart and votes for whoever safeguards its interests and security." Abbas said that as long as he is in charge of the PA, there will not be "a third intifada."